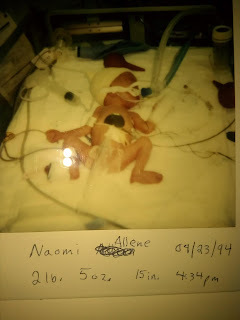 I'm a mom of twin preemies. They were born at 34 weeks and weighted in at 2# 5oz and 4# 3oz. Their birth was a scary time because they were so tiny. Lung development and potential infections were a concern. At the time, I didn't know much about RSV but knew that preemies were at a high risk for the virus. This is so because they don’t have the antibodies needed to fight off infection and are at an increased risk for developing an RSV-related infection, often requiring medical attention or hospitalization. RSV is the leading cause of infant hospitalization, responsible for more than 125,000 hospitalizations and up to 500 infant deaths each year. 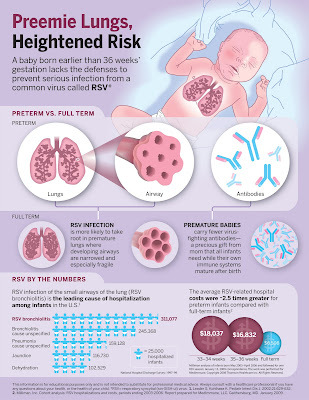 RSV occurs in epidemics each fall through spring. The CDC has defined “RSV season” as beginning in November and lasting through March for most parts of North America. Certain regions have longer RSV seasons than others, with the season beginning as early as July (e.g., Florida) or ending in April. Despite its prevalence, one-third of mothers have never heard of RSV. I wrote this review while participating in a blog tour by Mom Central Consulting on behalf of MedImmune and received a promotional item to thank me for taking the time to participate.